Heads will turn when they see you in La Femme 25292! 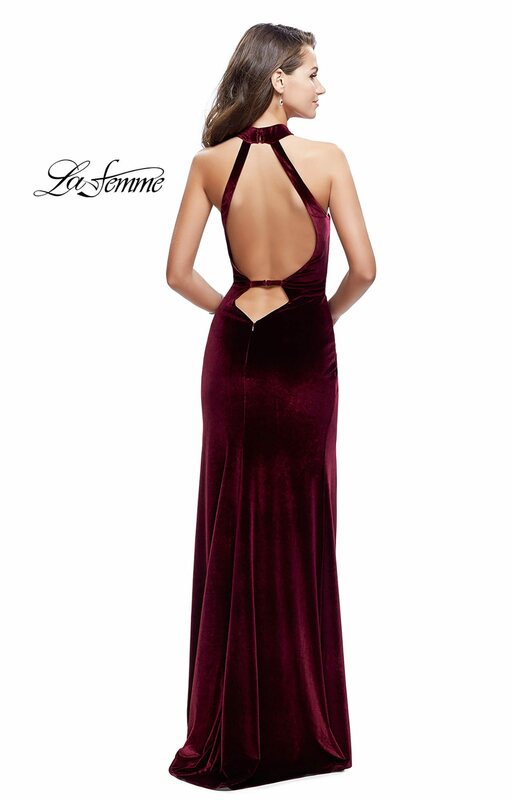 This glamorous velvet formal gown showcases a halter neckline with a plunging V cutout. The thigh high slit and cutout back openings make this dress irresistible!